A computer scam that uses malware to freeze your screen and then demands a $100 ransom to unlock it has prompted Vancouver police to issue a warning. "The scam is a variation of an online extortion that involves ransom ware. Even if the fee is paid by a credit card, the scammers rarely unlock the computer," police said in a news release Tuesday. A virus of the same type has recently hijacked hundreds of computers in B.C. 's Okanagan region. The malware often has an official-looking reference to police and cyber-crime, but it's all part of the scam, the release said. "The locking of these computers has no connection with the Vancouver Police Department, RCMP or other Metro Vancouver police agencies." The release noted that a computer can become infected by malware simply by visiting a website or clicking on a link in an email. Police said if you are a victim of the scam and you have not paid a fee, the scam can be reported to the Canadian Anti-Fraud Centre at 1-888-495-8501, or by e-mail info@antifraudcentre.ca. "If you have paid a fee and live in Vancouver, you can report the scam to the Vancouver police at 604-717-3321," the release said. Outside of Vancouver, victims are advised to make a report to their local police. Have an up-to-date antivirus program loaded onto your computer. Don’t open anything from an unknown, or untrusted, online source. 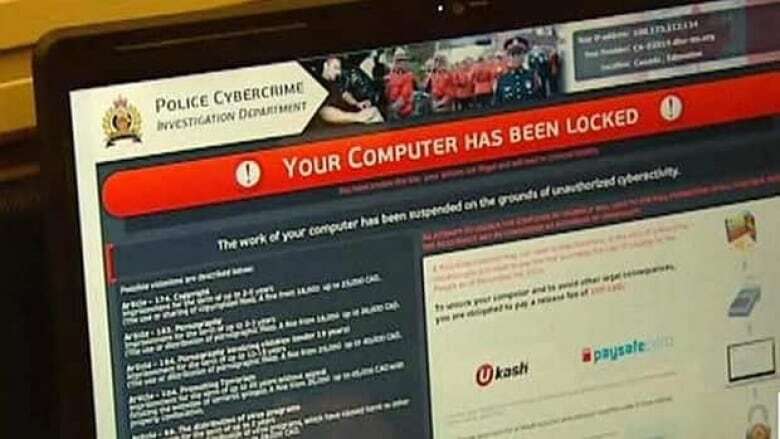 Police also advise that if your computer is infected with ransom ware, an online search should show reputable sites with the steps to remove the virus. But it might be necessary to have the machine professionally serviced.